NIV Thinline Hardback Bible. Text size: 7.25pt. 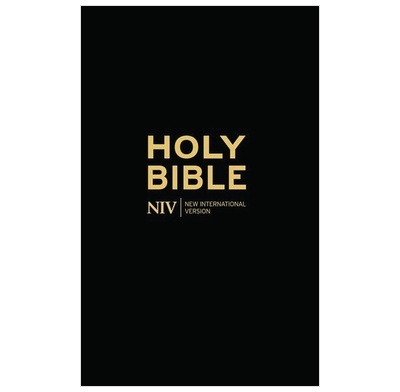 This is a thinline hardback edition of the NIV. It's perfect to carry around with you, wherever you go. It contains the full text and extras including maps of Jerusalem and Paul's Journeys. Text size is 7.25pt. British spelling, grammar and punctuation. With out Gods word i would be lost and would encourage new or those long in the faith to read their bibles as often as they can, you have no idea what a treasure the bible is ! !